Members at the meeting this afternoon enjoyed an informative and amusing talk by David Bell on some aspects of medical treatment in the seventeenth century. 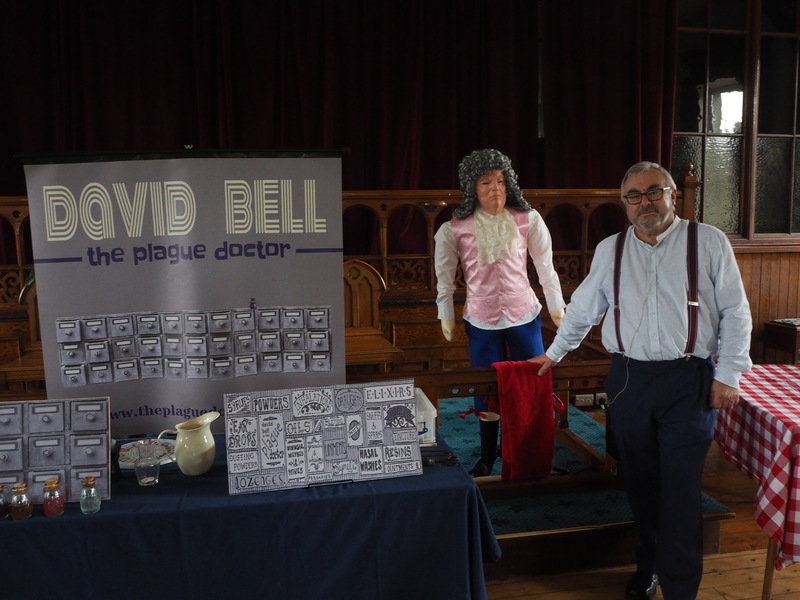 David, with a wide variety of visual aids including a blow-up doll dressed as Samuel Pepys, described the diagnostic methods of doctors at this time, and their treatments based on the “doctrine of signatures”, pointing out that in some cases later scientific knowledge had proved these treatments to be helpful. He went on to describe in gruesome detail the operation Pepys underwent for the removal of a bladder stone, an operation which Pepys survived. On a more sombre note, David closed his talk with an account of the heroism of the villagers of Eyam in the Peak District who by putting themselves into quarantine prevented plague spreading. The description of the sufferings of the Mortons, a family who had lived in his own house in Eyam during this period, was particularly poignant. Gail’s Groups Report was brief, as August was a quiet month with so many members on holiday or grandparenting. There would be an attempt to restart the Shakespeare Studies Group and second Creative Writing Group in the autumn. The Three Valleys Reading Group, convened by Caroline Pindar, was up and running. Members who wish to receive the monthly mailshots for 2018-19 were asked to pay their £8 to cover the postage. The Committee asked for ideas for festive items for the December 20th meeting.This has already resulted in three suggestions. If anyone else can recommend a performer/group who would be free to perform on that Thursday afternoon, please send it in to the Secretary. 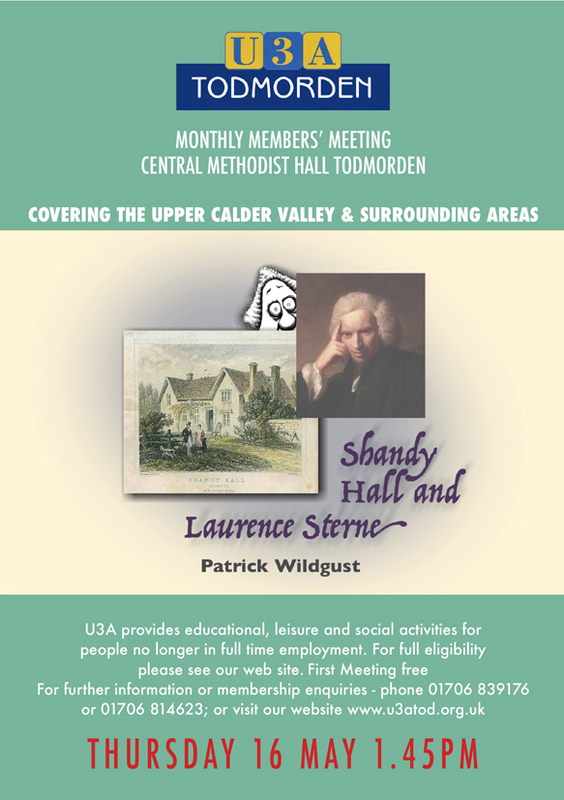 Finally, apologies for the lack of an email reminder about this month’s meeting. The team are working under strength at the moment and this was one thing which simply slipped my mind.